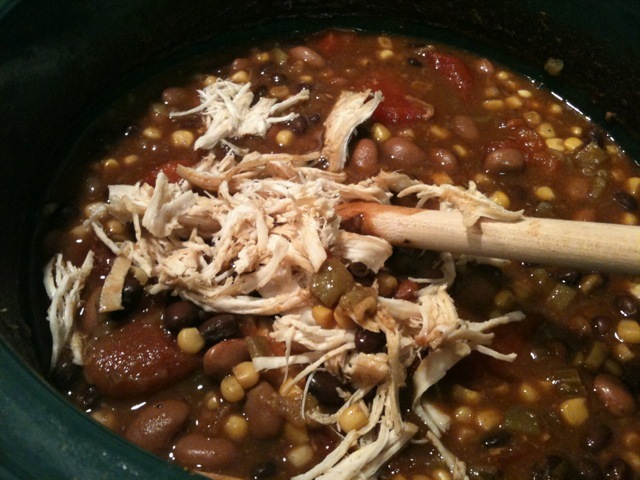 Layer chicken in bottom of crock pot. Add the rest of the ingredients in the order written. Do not stir. Cook on low 7-8 hours. Take out chicken and shred. 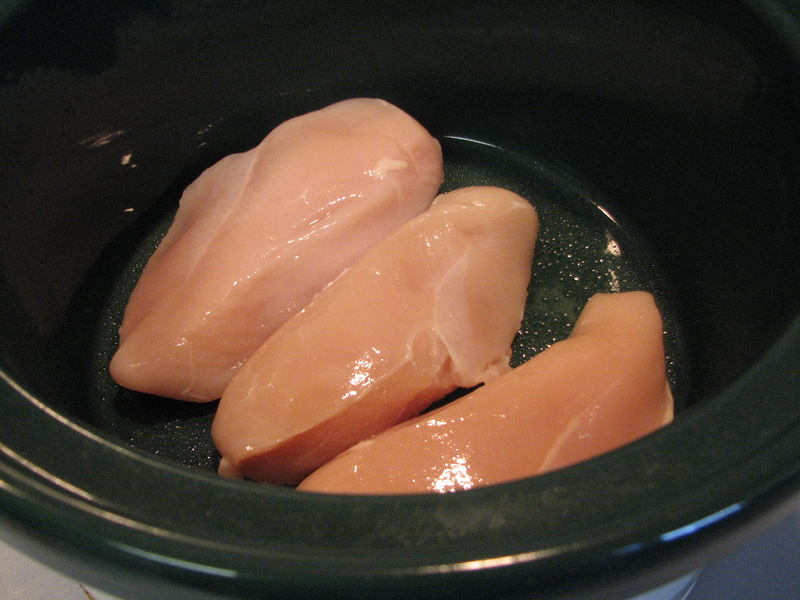 Return chicken to crock pot and stir well. 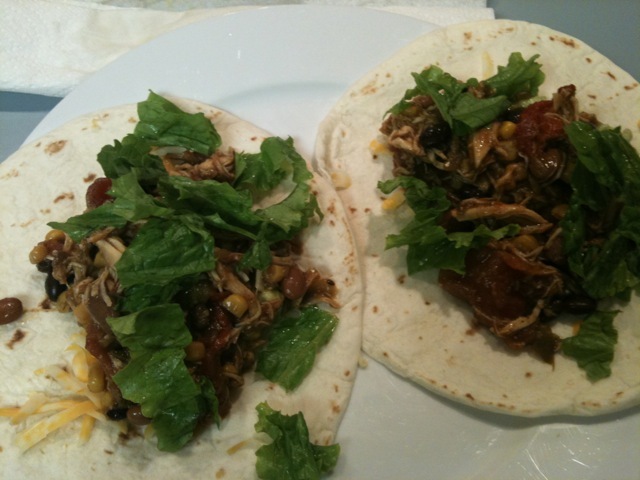 Serve with tortilla chips or on a flour tortilla. 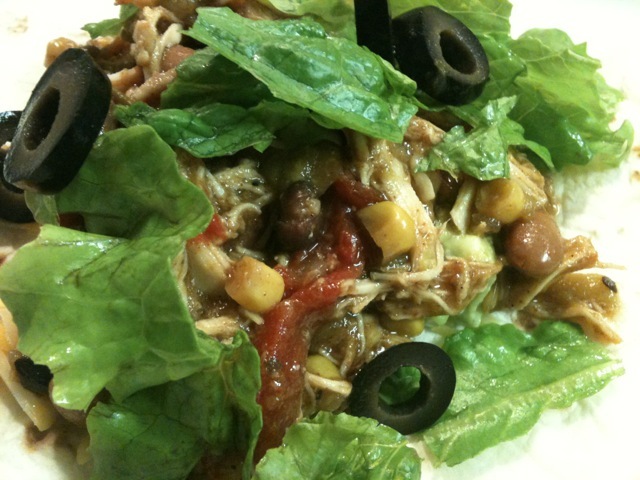 Serve with chopped lettuce, tomatoes, and shredded cheese if desired. Extra ingredients are not included in nutritional facts. 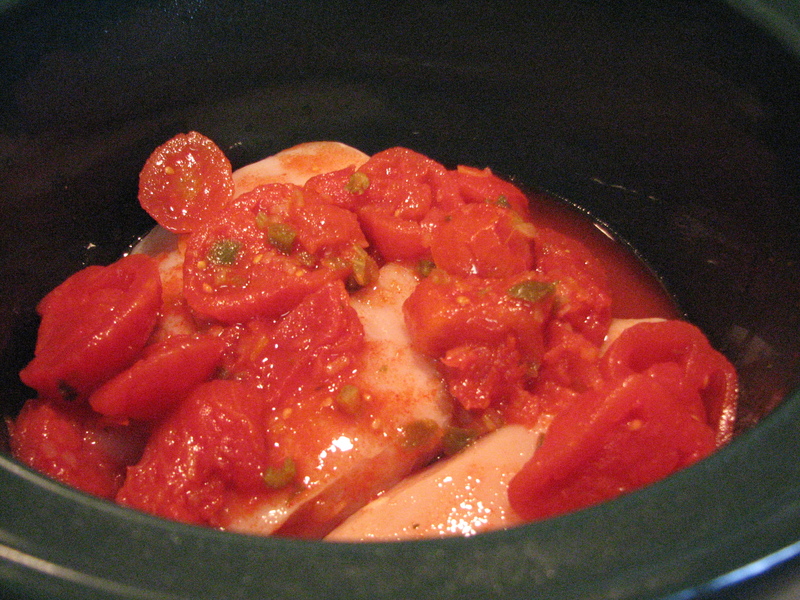 I washed and dried the chicken fillets and then laid them in the bottom of the crockpot. I followed the instructions and layered each item. 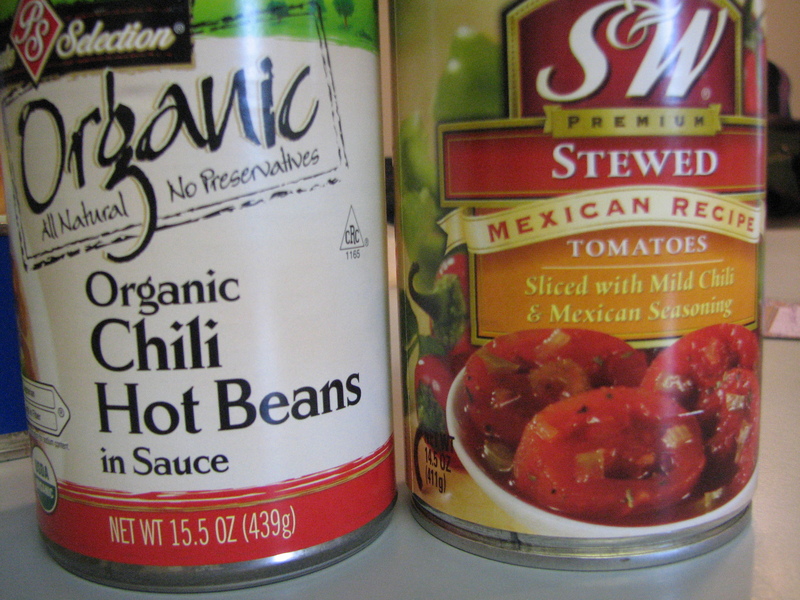 I bought a can of Mexican tomatoes instead of plain. 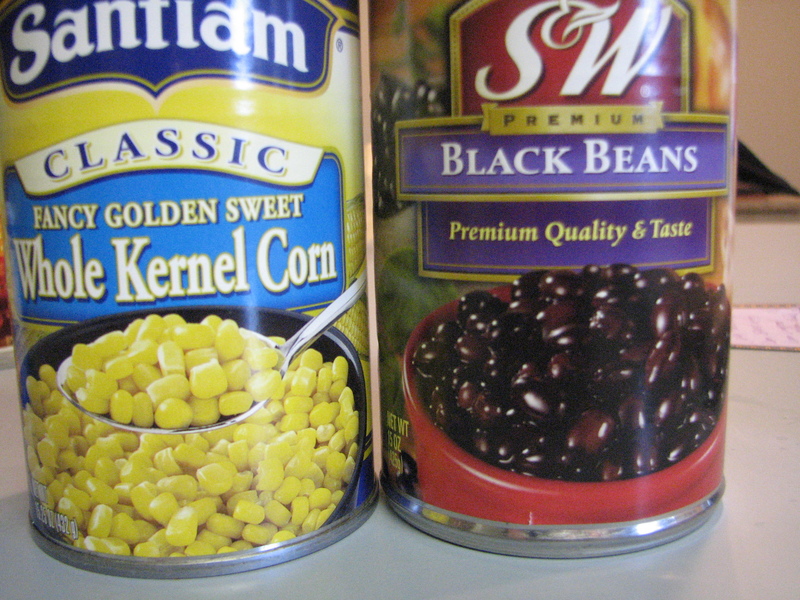 Next I layered the rest of the cans (not draining the beans or the tomatoes). 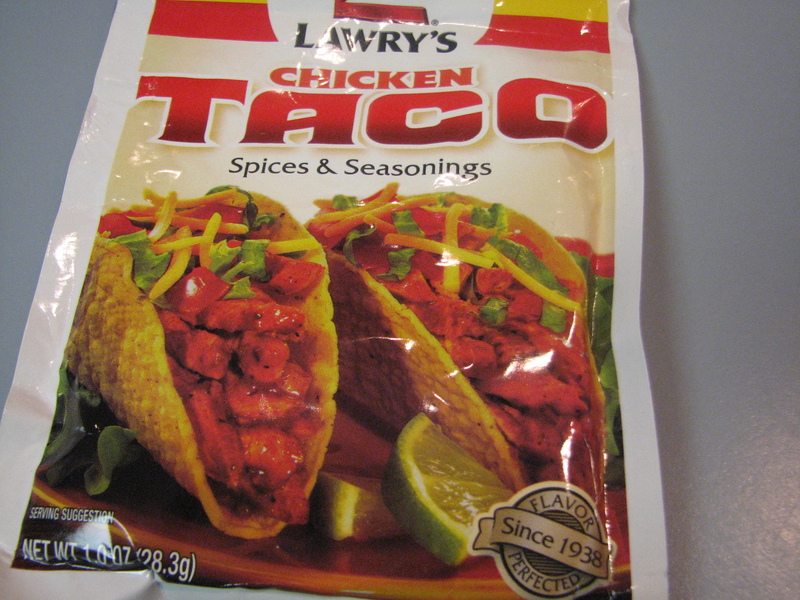 I picked up some Taco seasoning for chicken and topped the corn with it. 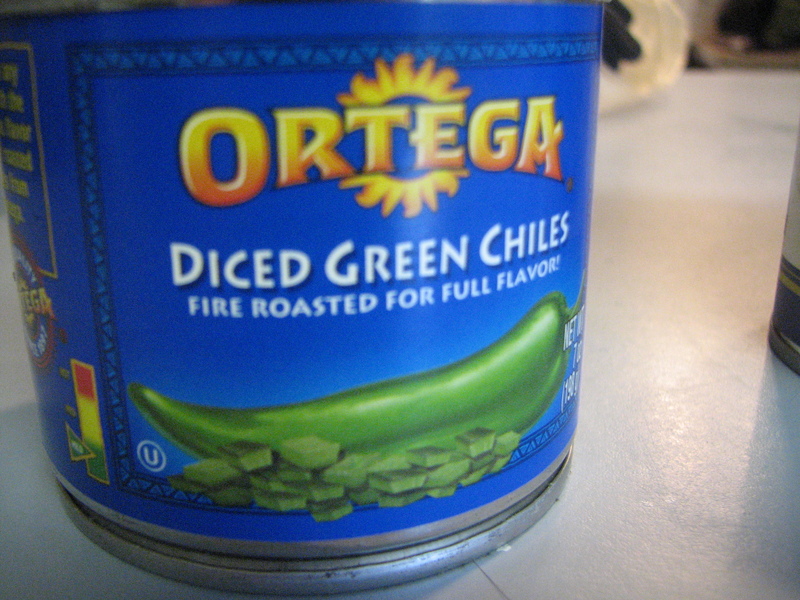 The last ingredient added was the diced chilies. 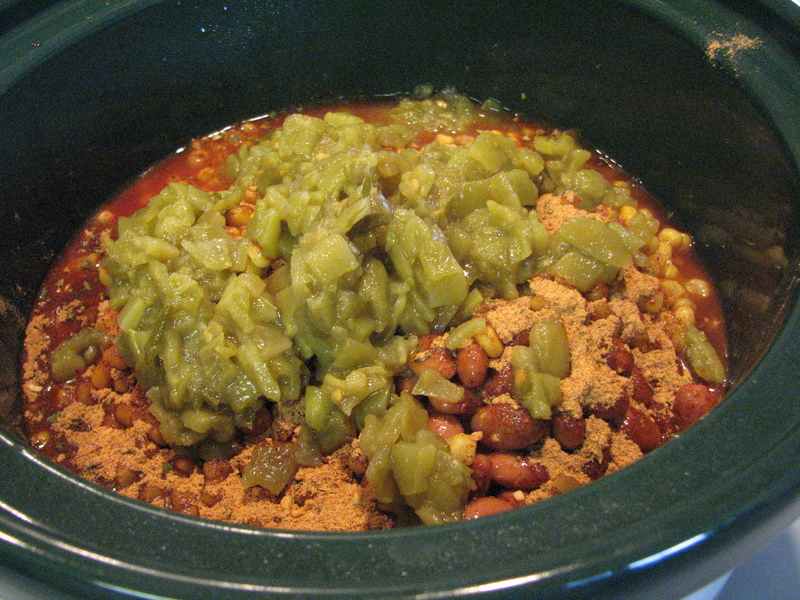 I turned on the crock-pot to low and let it cook for 7 hours. I checked on the crockpot periodically and was worried about how much liquid was still in it. It looked more like chili than what I was imagining. I took the lid off and turned the heat to High to see if that helped–which it did not. I decided to just led it ride and hope it turned out. About 30 minutes before it was supposed to be done, I took the chicken out and shredded it. It was really easy to shred the chicken with two forks. 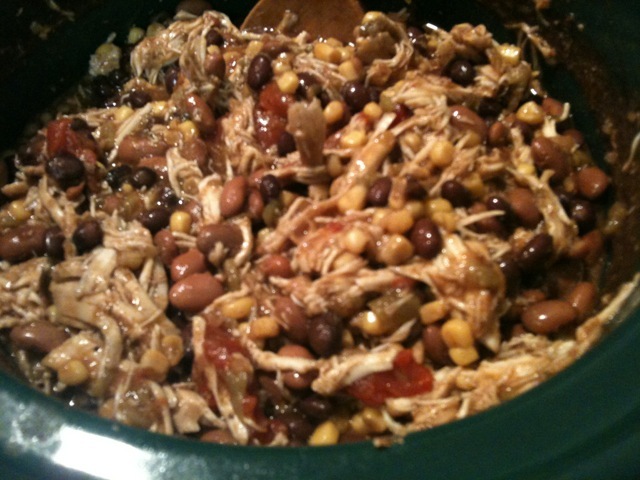 I shredded it all and put it back in the crockpot. 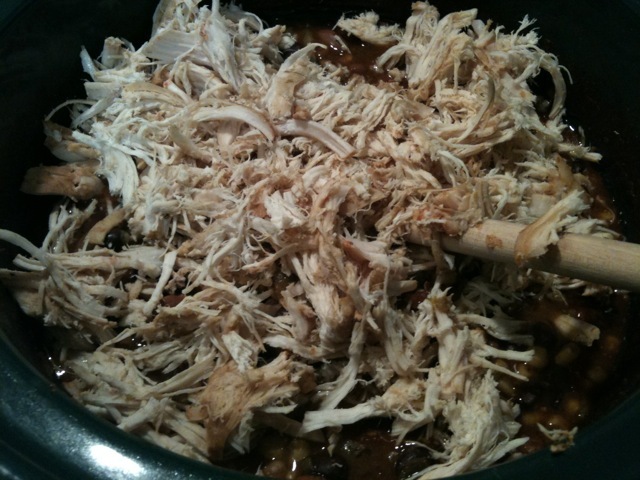 As I added more and more shredded chicken, I saw that it was soaking up the liquid. Mystery solved! Michael was in charge of the guacamole–this time using just one avocado. 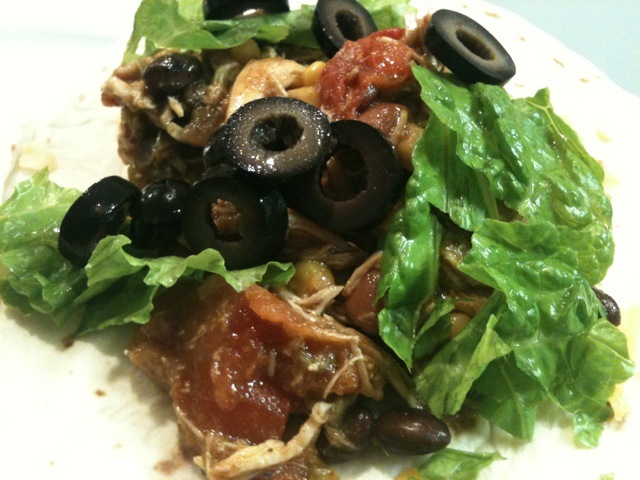 We spooned the shredded chicken mixture into small tortillas and added toppings like sour cream, a little bit of cheese, lettuce and olives. Because the tortillas were the small ones, it was impossible to put too much in them. Dinner was delicious! I loved the flavor. I’m not sure what exactly did it but the meat was sweet. I couldn’t tell what was sweet, but it was good. $12! WOO HOO! 🙂 Winner! When I was at the store earlier getting the ingredients for dinner I cashed in my hefty lottery winnings. I noticed in the checkout line that my magazine is gone. 🙁 It’s onto the new month, with a new cover. Oh well…it was cool while it lasted! 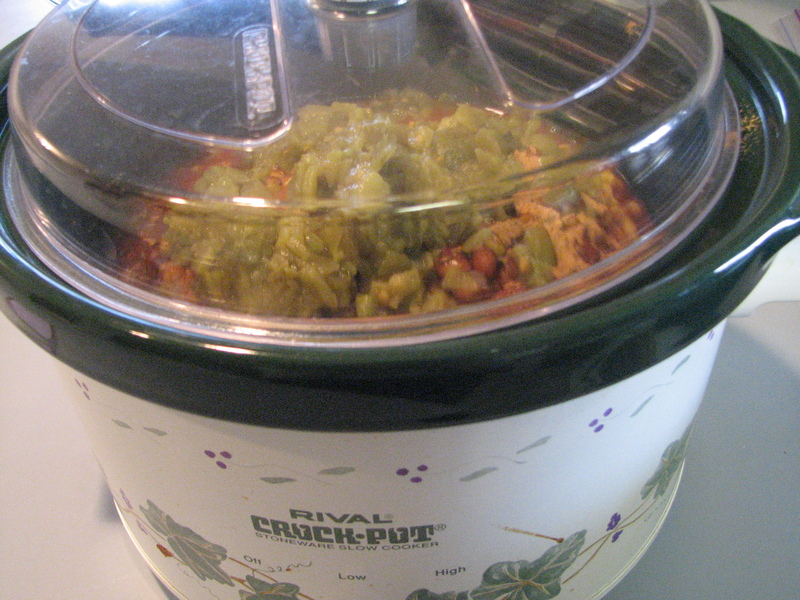 QUESTION: What’s your favorite crockpot recipe? And have you ever won the lottery? 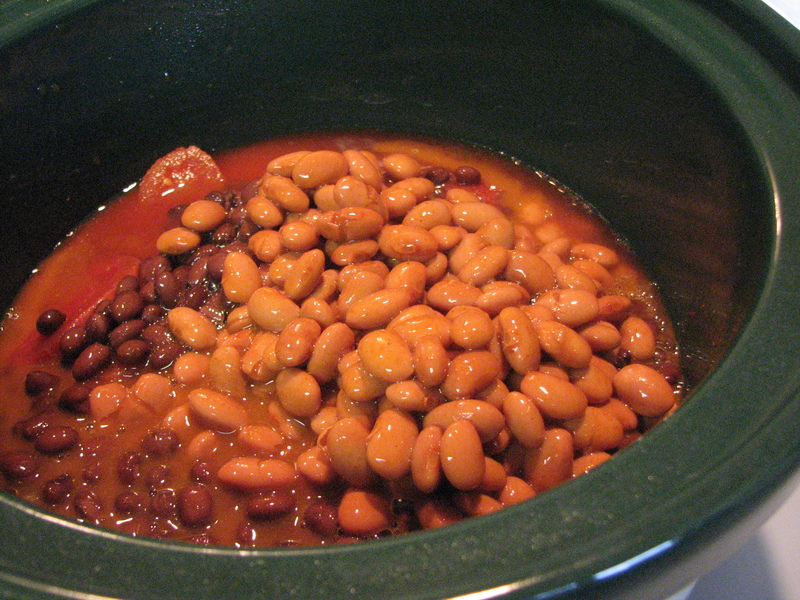 That crockpot recipe looks awesome! I love making things in the crockpot. 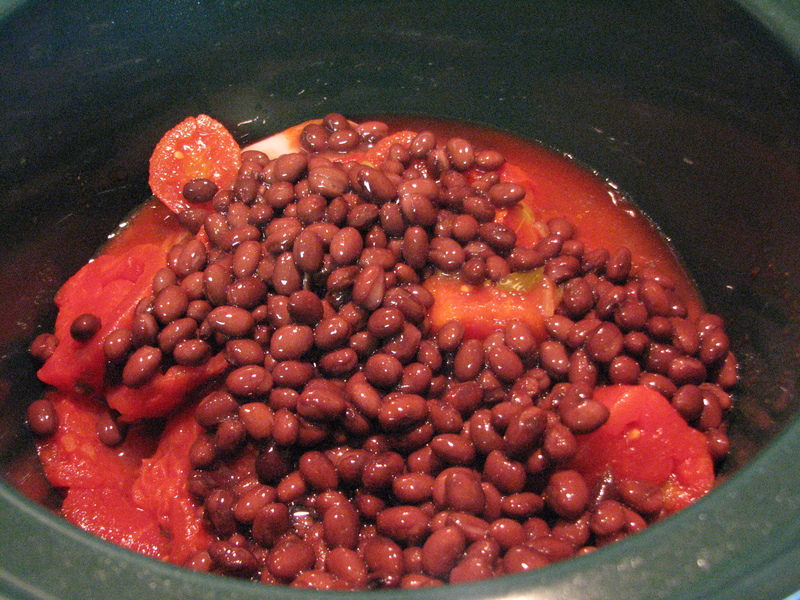 last year I made this kidney bean sweet potato stew with peanut butter (sounds weird, I know) but it was incredible!! I am going to make it again and I’ll post the recipe. Everyone is all about the crockpot these days. I bet it’s especially good for soups and chili. That sounds delicious! I don’t have a crockpot, but I do have a pressure cooker (from my best friend – apparently it’s a traditional engagement gift in Spain!) but it’s a bit different, and cooking chicken breasts in that is a mistake I won’t make again. 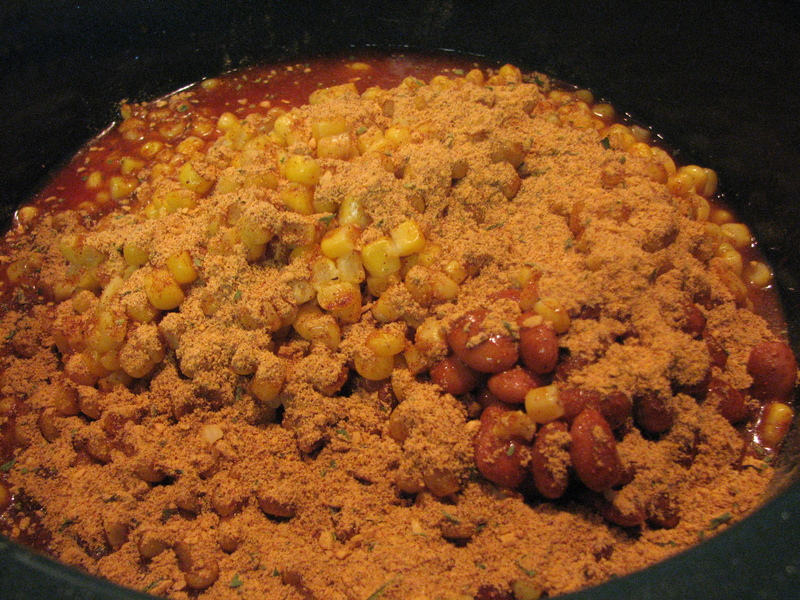 Definitely better with stewing meats and beans! 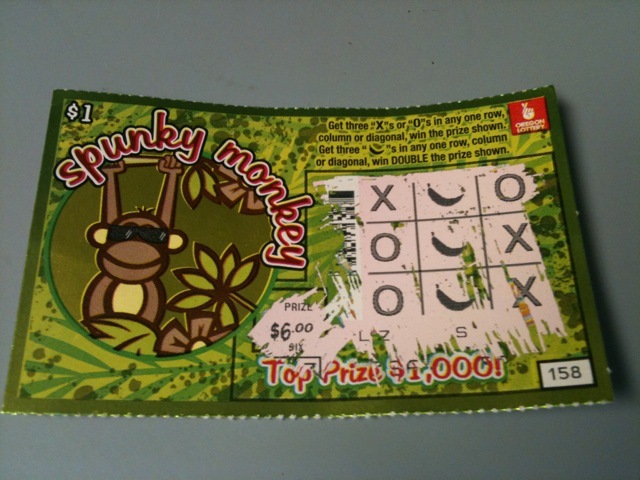 I’ve won the odd £10 over the years. We used lottery tickets as wedding favours, and not one person won a thing! I don’t think I’ve ever used a pressure cooker. I LOVE the crock pot. There’s a Mexican pizza recipe similar to yours – you just layer corn tortillas, salsa, beans, chicken (cooked) and shredded cheese, and cook on low for about four hours. That’s a cool idea to put the tortillas in there too…Do they get soggy? This looks and sounds delicious! I can’t wait to try it. I won $80 a couple of months ago on the lottery. That’s so great!! I’m glad you liked it. Was yours sweet too? Just made this today. I deviated from the recipe and used leg quarters (bone in) – we’re trying to use the food we have in the freezer right now, and that’s what I had! The flavor was terrific, but it did not absorb the liquid – stayed much more soup like. We still loved it, I just used a slotted spoon to drain off the liquid & it was yummy! That’s great! Glad you tried it. I think part of the liquid problem was the fact that you used leg quarters. 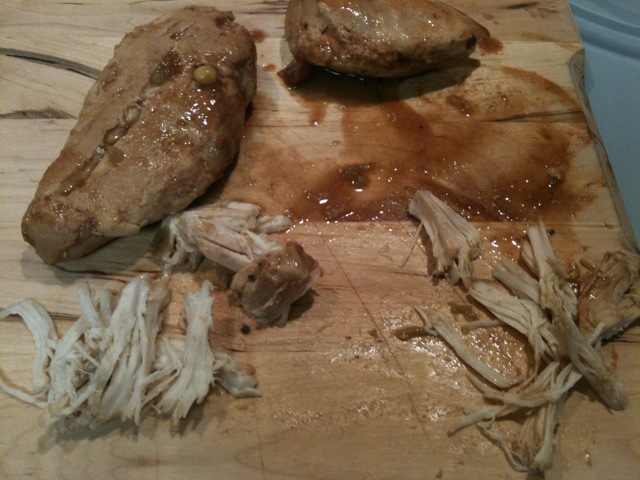 Using the boneless chicken breasts and shredding the cooked chicken soaked up most of the liquid! I totally agree. It was frozen when I put it in, or I would have removed the bones. It still would have been “wet” due to the dark meat, but it might have helped. My kids & husband loved it! 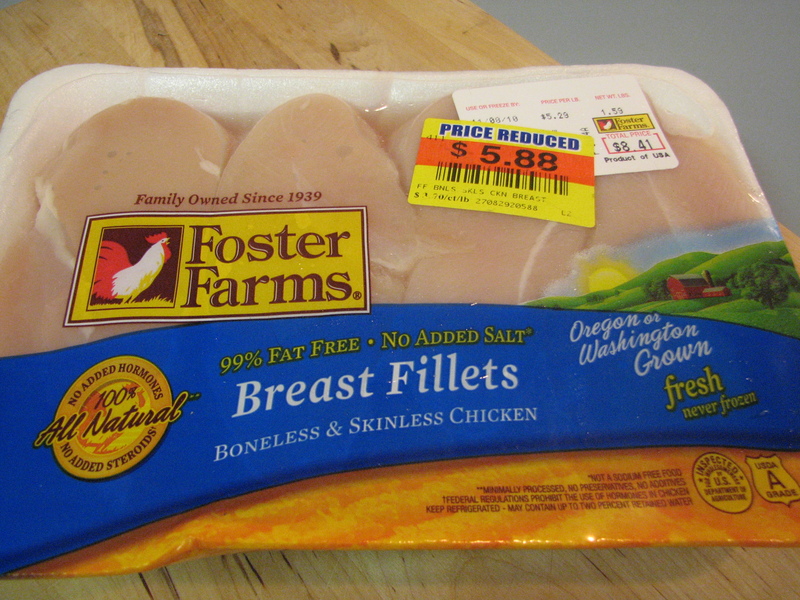 This will be going into my crockpot rotation, and we’ll stick with the boneless / skinless breasts to make it more healthy! Oh, and I’ve won random odds & ends of $$ in the lottery.